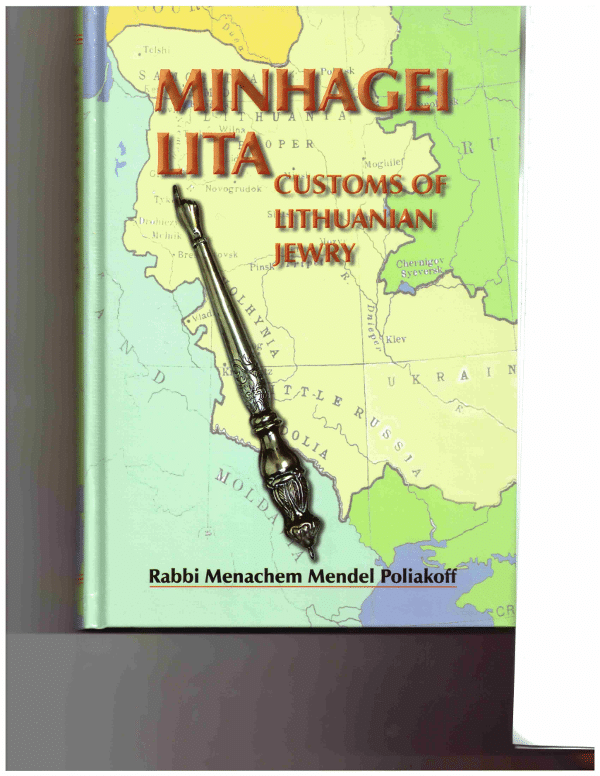 Minhagei Lita: Customs of Lithuanian Jewry | Remembering Litvaks, Inc. Rabbi Poliakoff was born in Baltimore and studied at the Telshe Yeshiva, in Telšiai, Lithuania, from 1930 until 1939. He then returned to the United States. When America entered World War II, Rabbi Poliakoff joined the U.S. Army, where he served as a chaplain. He was on the front lines of the fighting, from the June 1944 Normandy invasion through the end of the war in Europe. During the war, Jewish soldiers from Allied countries appreciated the observance of Jewish traditions as a demonstration of the endurance of Judaism. Rabbi Poliakoff was authorized to requisition buildings for Jewish prayers and in one instance he held Jewish services in the castle that Hitler had given to Nazi propagandist Joseph Goebbels as a birthday present. Stars and Stripes magazine reported the event and the story eventually came to the attention of Goebbels, who was infuriated that the castle had become a place of Jewish prayer. After the war, Rabbi Poliakoff returned to Baltimore, where he was a pulpit rabbi for 42 years and a leading Torah scholar and authority. For a period of time, he served as National Vice President of the Rabbinical Council of America. Rabbi Poliakoff’s grandfather, Rabbi Avraham Nachman Schwartz, had studied at the Telshe Yeshiva before emigrating to Baltimore. Rabbi Schwartz was determined to make Baltimore the “Yerushalayim of America.” In 1917, Rabbi Schwartz founded Baltimore’s Talmudical Academy, also known as the Yeshivas Chofetz Chayim, and in 1933 he assisted in the founding of Baltimore’s world-renowned Ner Israel Rabbinical College. Rebbitzen Schwartz also helped found Baltimore’s Bais Yaakov School for Girls. At the Telshe Yeshiva, Rabbi Eliezer Gordon (1841–1910) and Rabbi Shimon Shkop (1860 – 1939) had developed a system of Talmudic study which combined logical analysis and penetrating insights with a simplicity and clarity of thought. The system came to be known as the “Telz way of learning.” Rabbi Schwartz based the Baltimore yeshivas on this model and his example was influential. Thanks to Rabbi Schwartz and other rabbis who received their education in Lithuania, the “Lithuanian model” has been accepted by most yeshivas in America. Rabbi Poliakoff was thoroughly familiar with Jewish life in pre-war Lithuania, including its religious and secular practices and manner of analytical thought. He therefore understood the enormity of loss that occurred with the annihilation of Lithuanian Jewry. He was concerned that in the absence of Jews in Lithuania providing “a living example of the prevailing minhagim,” people later seeking to find the authentic customs would either not be able to find any information about those customs might presume that decisions and recommendations of the Vilna Ga’on or the Chofetz Chayim on a given point reflected Litvak customs. As the author observed, when those scholars’ positions were inconsistent with well-established Litvak traditions, the scholars’ recommendations were not adopted by the Litvak community. As his son Rabbi Ephraim Poliakoff observed in the book’s preface, the author, whom he described as a “Litvisher Rav,” did not intend to produce a comprehensive work but rather to impart an accumulation of specific examples of Litvak customs that would collectively give a sense of the commitment to Torah and Halacha, appreciation of intellectual acuity, and broad world-view that characterized the Jews of Lithuania. 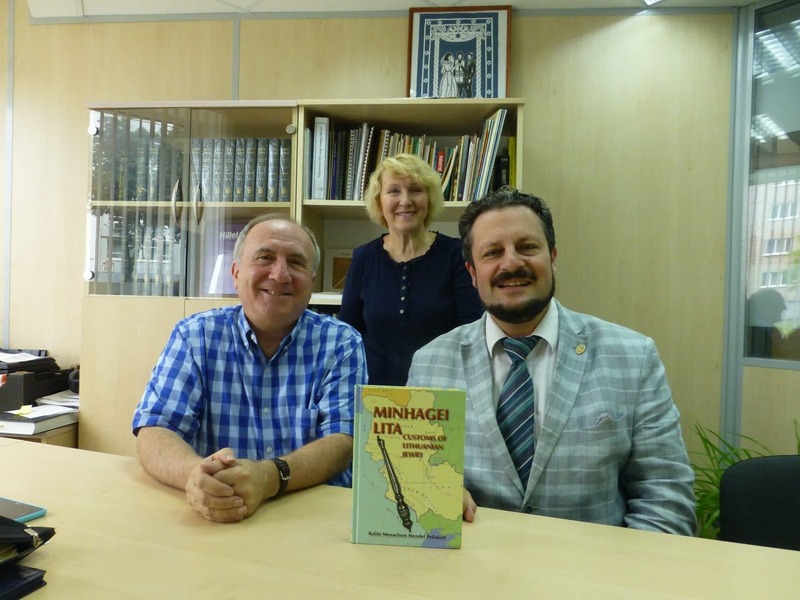 RLI has donated copies of Minhagei Lita to libraries, museums, and religious institutions in Lithuania and Belarus, including each country’s national library. Aldona Shapiro with Kristina Dūdaitė at the Judaica Research Centre of the Martynas Mažvydas National Library of Lithuania in Vilnius. 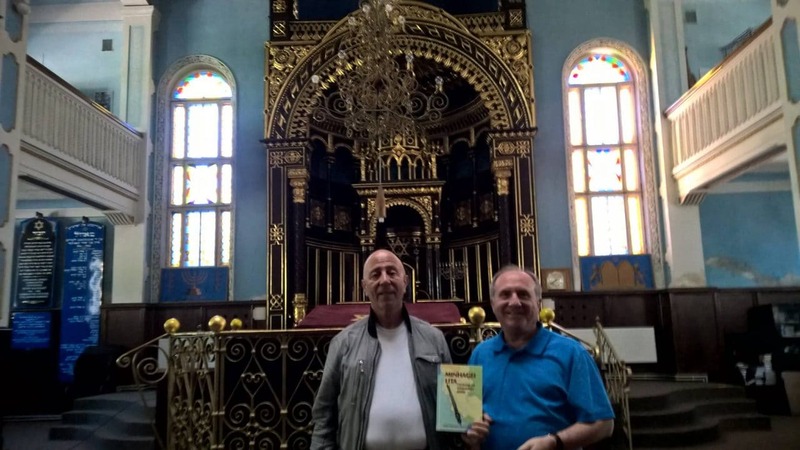 Philip Shapiro with Mauša Bairakas at the Kaunas Choral Synagogue. Rabbi Poliakoff and his grandfather Rabbi Schwartz studied at the Telshe Yeshiva. 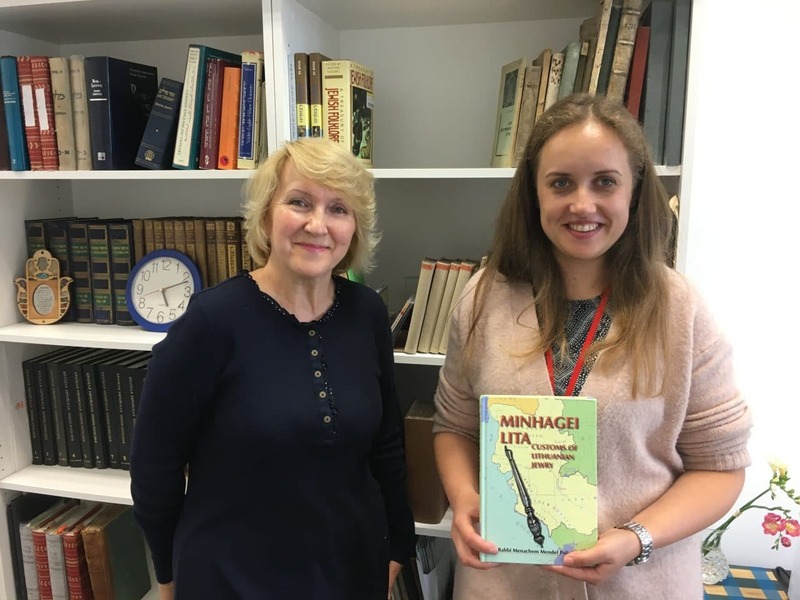 In 2017, RLI donated a copy of Minhagei Lita to the Alka Samogitian Museum in Telshe / Telšiai, Lithuania, which is the main historical museum for Lithuania’s Samogitian (Lowlands) region. 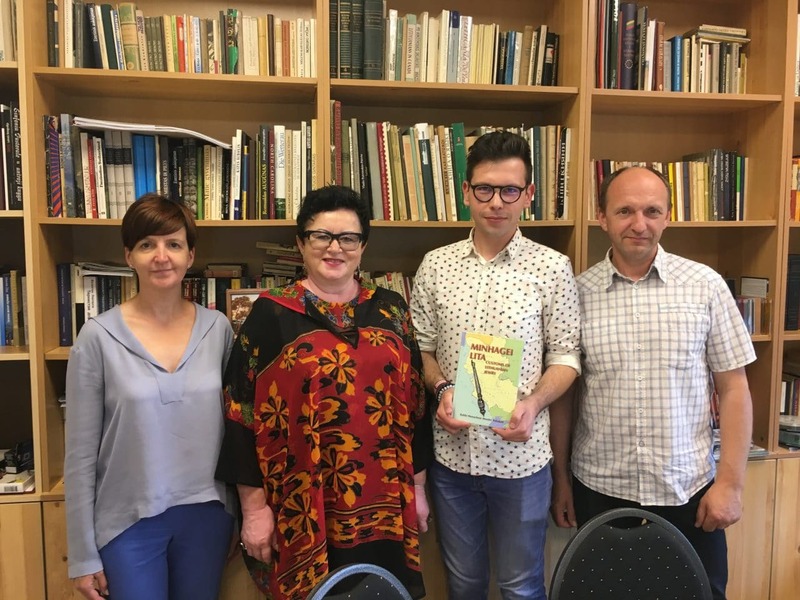 Aldona Shapiro discussing Minhagei Lita and the Telshe yizkor (memorial) book with Alka Museum staff members Ajida Stančienė and Ingrida Vaitiekienė in Telshe / Telšiai. 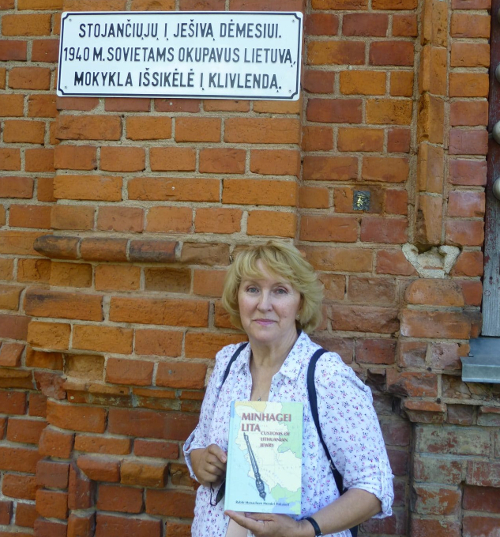 Aldona Shapiro with a copy of Minhagei Lita outside of the brick building that once housed the Telshe Yeshiva. The sign on the wall indicates that when the Soviets occupied Lithuania in 1940 the yeshiva was closed and subsequently was re-established in Cleveland, Ohio. 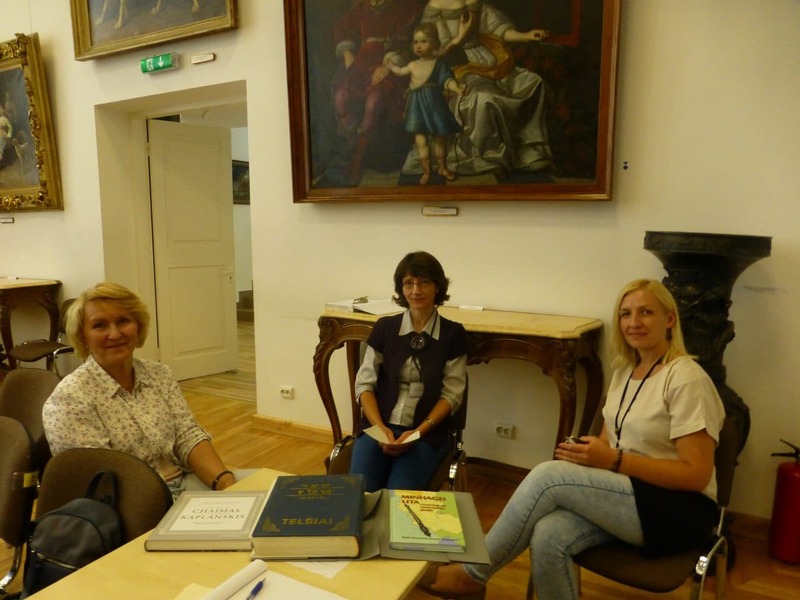 At the Ukmergė Regional Museum with staff members Jolanta Petronytė, Vaidute Sakolnikienė (director), Žygimantas Komliauskas, and Vladas Kovarskas. Phil and Aldona Shapiro with Rabbi Grisha Abramovich, Beit Simchah Congretation, Minsk, Belarus. 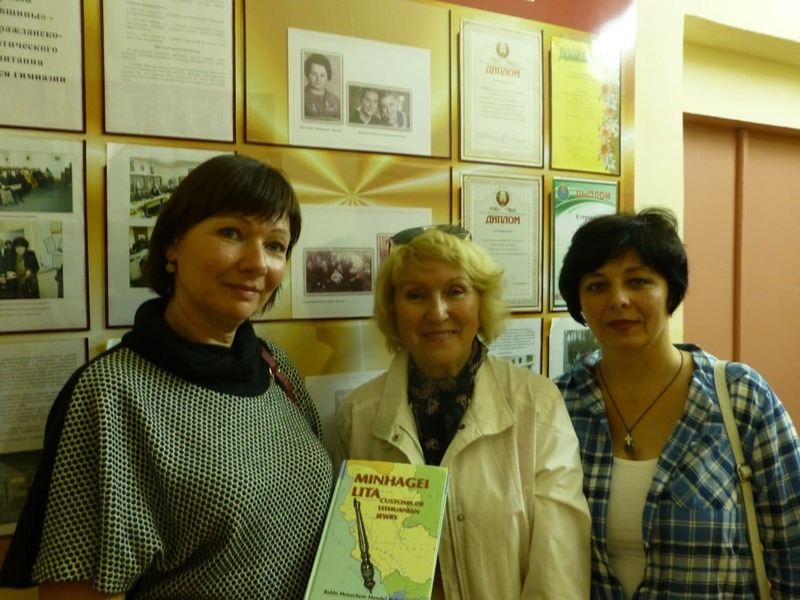 At the Dzyatlava, Belarus, local history museum, from left to right, museum director Helen Radomskaya, Aldona Shapiro, and founder and former director Zhanna Nagovonskaya. 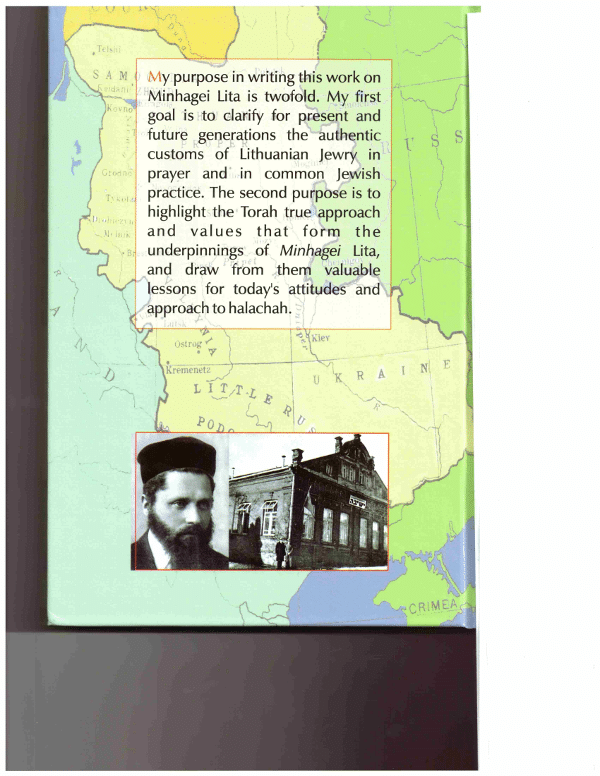 Dzyatlava, which is known in Yiddish as Zhetl, was the birthplace of the Rabbi Israel Meir HaCohen Kagan (1838-1933), who came to be popularly as the “Chofetz Chaim,” the name of his first masterwork. Rabbi Kagan was also the author of the Mishnah Berurah, which is universally recognized by Ashkenazi Jews as an authoritative source of Jewish religious laws. 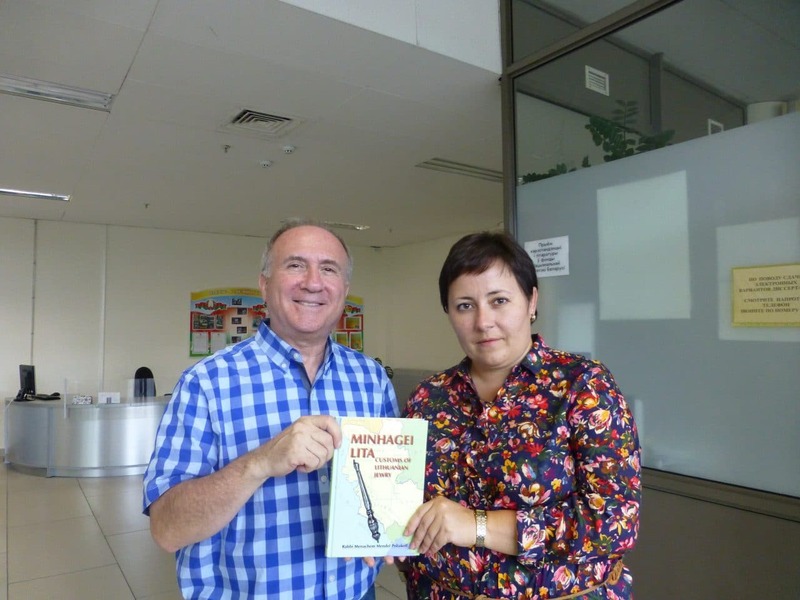 Phil Shapiro with Yulia Aleksandrovna Pereverzeva of the Belarusian National Library’s Foreign Language Collections, Minsk, Belarus.